Francis Vallejo | blog: Dean Cornwell download! Hey folks. I just landed in Michigan a couple of hours ago. I'm inside and I still think I can see my breath, but it's great to see my family again! 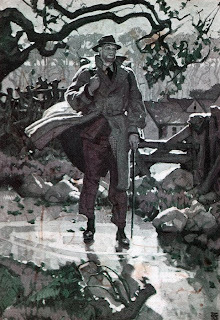 In the spirit of giving I thought I would post a .zip download of 118 Dean Cornwell illustrations. From my knowledge, these can not be accessed elsewhere. These are all scans from actual magazine reproductions. 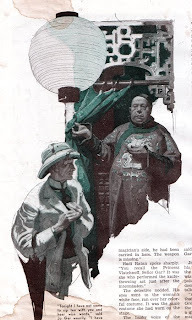 I was fortunate to track down a fellow that was getting rid of a folder of all these great Cornwell illos that he clipped out of the original magazines. I've been drawing (bad pun) a ton of inspiration from these, so now hopefully everyone can too!! DOWNLOAD DEAN "the lean mean illustrating machine" CORNWELL .ZIP!!!! In many of them, there is a blank strip in the center of them. This is because I received the originals in separate pieces so I did my best to stitch the scans back together as Cornwell would have painted it. Up above are a few examples of the files contained in the download. When I get back to my studio I'll elaborate on this post. I have a .zip of all the hi-res scans that I'll put up, in case anyone wants to print them out. I'd also like to compare some of the original paintings to the repros. 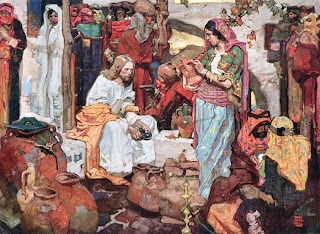 If you really digg Cornwell's work, I suggest checking out the book "Dean Cornwell: The Dean of Illustrators, by Partricia Broder." Good book, but unfortunately much of it is in black and white!?! OMG. Cornwell is one of my heroes - I just got the book this year, but I bet this one has a few I haven't seen. Thanks! first time i hear about Dean.. thanks for the great download! Wow! One of my favorite illustrators. I cannot wait for the hi-rez versions. Please post a comment here when you get the hi-rez versions up (if I am understanding correctly). I have it set to notify me of follow-up comments. You're awesome, and I hope you and your family have an awesome Christmas and New Year as well. merry holidays to you Francis. man, I owe you BIG TIME, these are great! Merry christmas! Thanks man, I've been meaning to buy one of his books but this will do for now haha...cheers, dunno if you cop'd the New JC Linedecker book, i assume you have, pretty grand cop. On a sidenote, I just heard the interview on sidebar with Frank Stockton, he mentioned you. On top of that, not to long after, I went to Irene Gallo blog and saw her post on you there. Can't seem to escape your name man haha. Way to keep buzz up man! Keep the grinder brew'n. We all have a big "I owe ya'" for this generous gift of your time and resources. Thanks to no end. My goodness you are amazing man. Thank you very much. Hey thanks Francis, that's really awesome. Happy holidays! I've enjoyed filling in the white spaces and doing some clean-up. If you'd like to have the cleaned-up batch (sure, they're not perfect, but there are no white stripes to trap the eye either), let me know and I'll put it up on YouSendIt or somesuch. Anybody who posts Cornwell CAN'T be all bad! Niiice! WOW....what a gift, and what a way to start out the New Year! Hope yours treats you well!! Thank you. Francis, is the man. Thnaks for Cornwell!! Could you PLEASE put this link back up... it's dead. IT sounds like it would be an awesome collection of work! pleaaaasseee put the link back up. His images are so hard to come by. Hi Francis, I fopund your post really late, the link doesn't work ... Can I download the images somewhere? Aw man, link doesn't work. Archangel Michael defends God and promotes the Light. His name means ‘Who is like God’. "The idea for the hoverboard was born. He took the two wheels and joined them with a board." tomtop hoverboard reviews ... thereby turning it back into a Segway without a pole.